Miniatures games have always been reserved for lifers. Lifers who spend hundreds of dollars on bags of disassembled pewter sculptures, put them together, and paint them in colors like “fuegan orange” and “leadbelcher.” It’s a hobby made by the deeply invested, for the deeply invested. Games Workshop manufactures the Warhammer series—one of the most popular names in miniatures gaming—and they happily charge $150 for a starter set. If you’re looking for hyperrealistic orc figurines, you’ll have to pay a premium—and, no, Wal-Mart can’t save you. This is how things have always been—if you want in, you have to respect the monopoly. That is, unless you own a 3D printer, like Chuck Thier, a Texas-based software developer. “I’m not an avid Warhammer player, but I’ve always been a fan of the lore,” Thier says. He’d seen a couple of models someone made for printing and thought it would be interesting to play around with. So he began making his own. 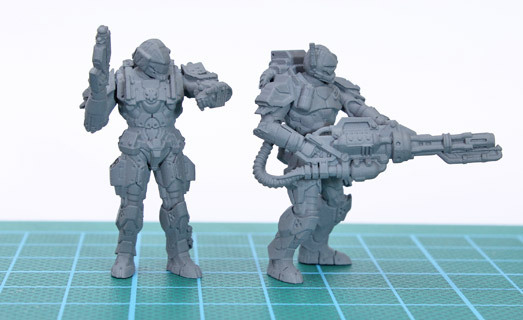 “The models turned out to be a really good way to test the quality of my printer,” he says. The detail of his models didn’t possess the fidelity of the original miniatures, but they’re still pretty convincing and impressive, especially considering he’s eschewing a giant price tag. 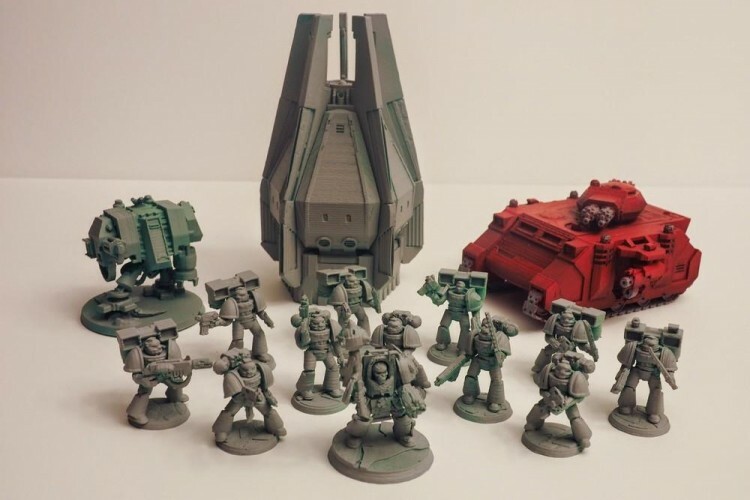 Games Workshop might not have much to worry about for now, since 3D printing is still far from being a household utility. While Thier has both access to a 3D printer and the time and patience to draft his own minis, it’s still easier to go to a hobby store and secure pieces the old-fashioned way. But Games Workshop is protecting itself from a future where pirating miniatures may be just as easy as pirating music—a more reasonable fear than you might think. Arian Croft is the proprietor of Ill Gotten Games; its flagship miniatures project, Pocket-Tactics, is available in tidy zip files on its website. You can download the schematics, take them to your 3D printer, and have a full-fledged battlefield at your fingertips—all without spending a dime. Croft doesn’t have a background in design, but he was drawn to the affordable possibilities that 3D printing provided, as well as the chance to construct whatever he wanted. Croft speculates that, eventually, major game companies will be forced to use the same business structure he does: offering digital files ready for a 3D printer at an abbreviated price point. In a story as old as time, advances in technology have removed some of the justifiable value of these specific products; from the cotton gin to the iPod, streamlined mechanical factors have consistently wreaked havoc on out-of-date manufacturing. Whether or not that’s a good thing depends on your perspective and adherence to customs. Miniatures games are unfriendly to new players, but if anyone can get involved without a significant investment, it could bring a lot of fresh blood to the scene. There’s obviously a specific group of people willing to spend an afternoon playing with tiny goblin statues, but there are also plenty who’ve been kept away from the hobby for financial reasons. At the same time, there’s something slightly sterile about shoving code into a machine and churning out a pristine orc that’s never been touched by human hands. Handiwork—and sheer obsessive dedication—has always been a crucial part of miniatures gaming, and there’s something lost in downloading a model the same way you’d download a torrent. Poteracki waxes poetic about the wonderful inconsistencies of a handmade model; every statue looks a little bit different, hewn by real people who can’t help but love this stuff. There’s something special about a small-ish group of people willing to commit an extraordinary amount of time to satisfy their compulsions, so it’s understandable why some believe 3D printing goes against that code of ethics. Have You Heard of the 3D Selfies? It is Now Possible!